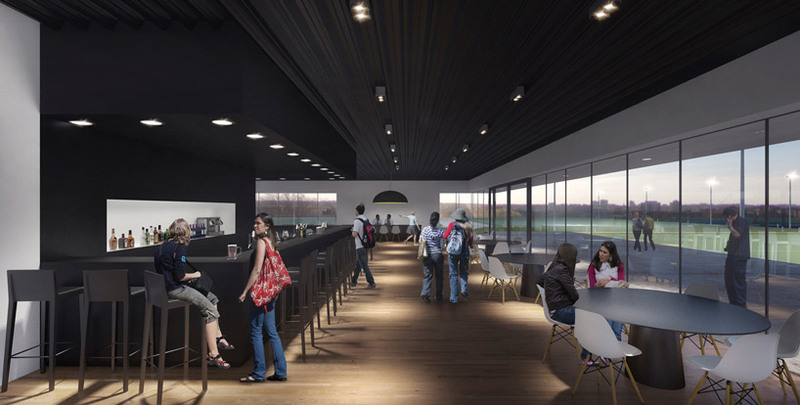 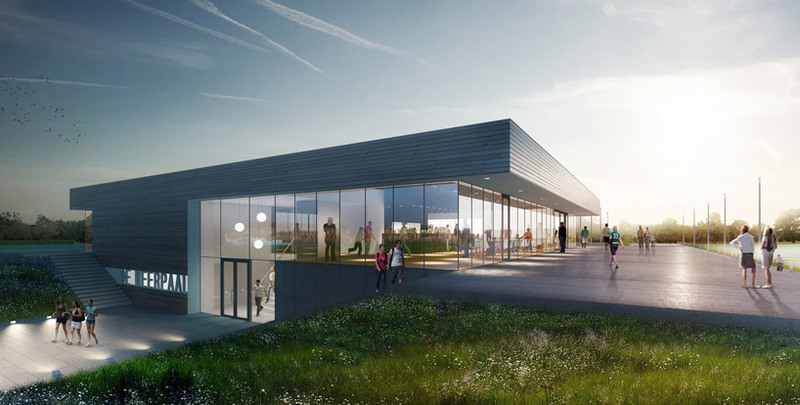 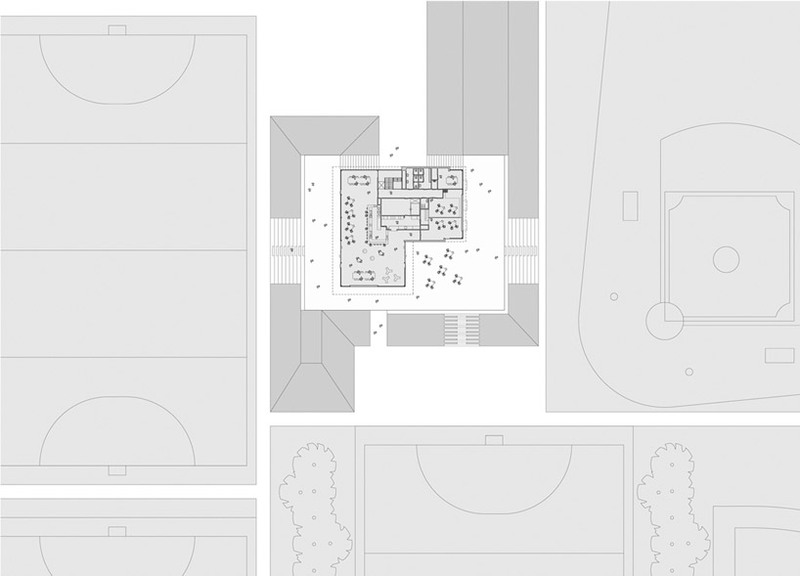 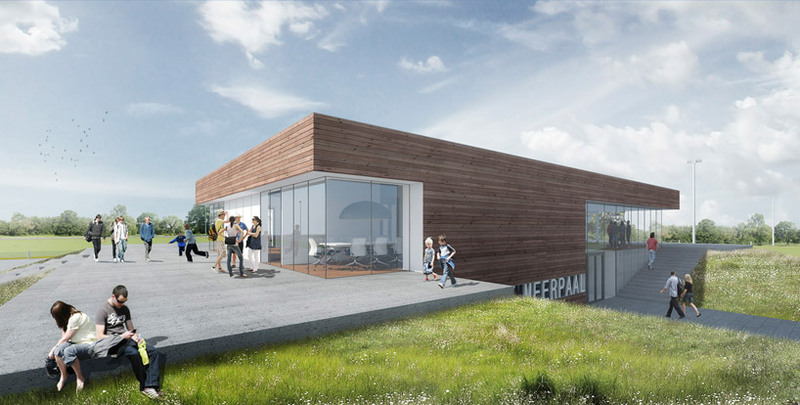 dutch firm moederscheimmoonen architects has completed the design for a multi-purpose sports facility in houten, the netherlands. 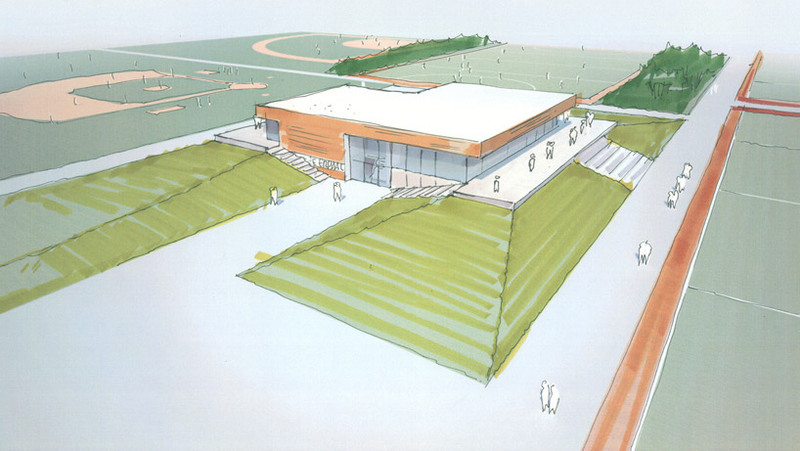 the building will be used by local sports clubs for activities including hockey, baseball and handball. 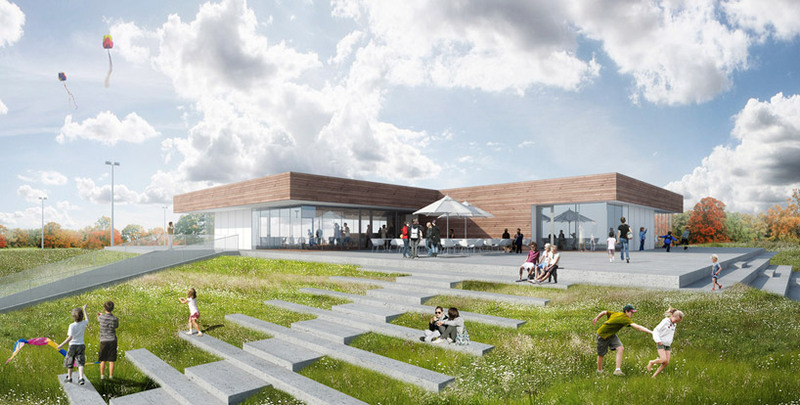 outside of physical recreation, the property will also be used for educational purposes and as a social meeting point for the community. 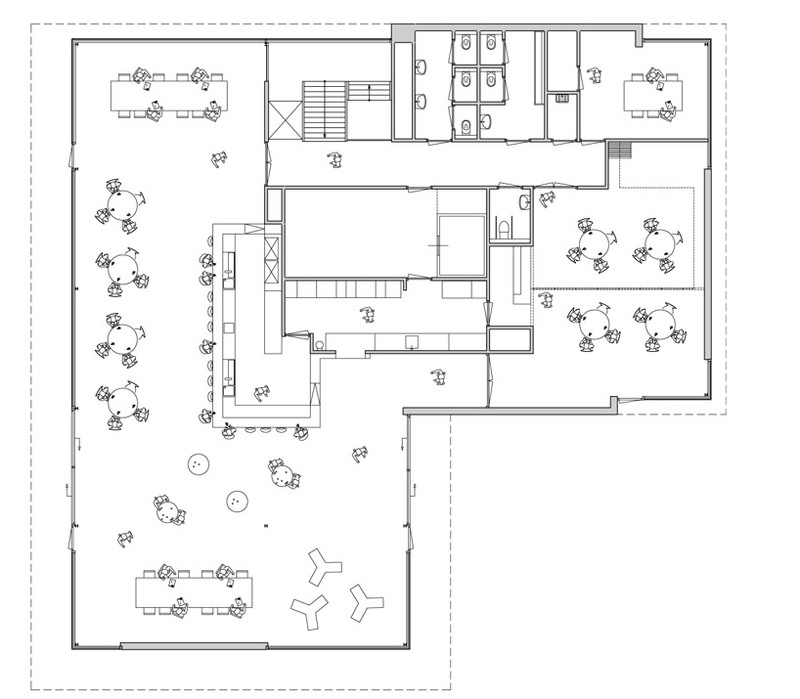 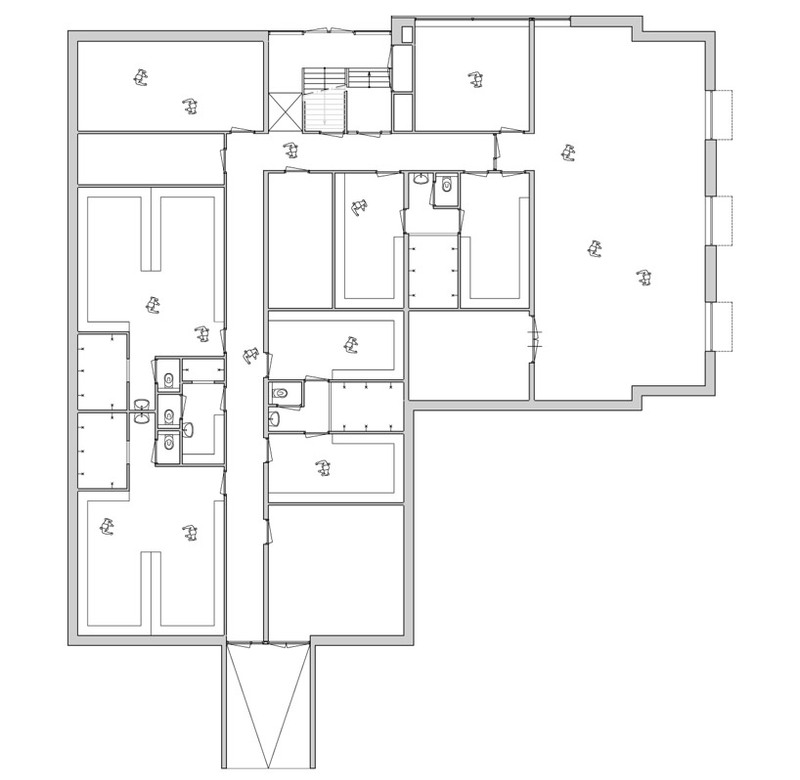 and vegetation to play an important role in the overall design.